Modern & Spacious Campus in heart of vibrant downtown location, near major transit lines & student housing. Our client is selling their profitable, accredited, For-Profit Career College in Greater Toronto Area of Ontario, offering + 30 diploma programs in Business, Healthcare, & Law to local & international students for 30 years. It is a Private Career College registered with the Ministry of Advanced Education & Skills Development & has financial aid eligibility with the Ontario Student Assistant Program, & Designated Learning Institute (DLI) number granted by Immigration, Refugees & Citizenship Canada. Thousands of students have graduated from their programs & have successful careers in their chosen fields. Over 70% receive student loans from Ontario Student Assistance Program, 20% receive education funding from EI, & the remainder is either fee-paying (domestic or international) or receive funding from WSIB, Insurance Companies, or employers. Their student body includes new Canadians seeking a local education & local work experience through their practicum component program, single parents seeking to get back into the workforce, & career seekers looking to upgrade their professional skills. The College has a fantastic location in GTA that is safe, central, & accessible to local transportation & amenities. It operates out of an 7,500 ft2 recently renovated campus with a competitive lease & custom designed space with classrooms, computer room, staff lunch space, student lunch space, server & IT infrastructure, office space for receptionists & administration, etc. Overall, the College has demonstrated consistent profits in operations & averaged over the last 3-years $3.9M revenue & $222K EBITDA, demonstrating consistent profits y-o-y. Everything is in place for new ownership to take the school to the next level & benefit from a premium. turn-key, fully accredited career college in a high demand Ontario market. It is positioned to maximize profits & revenue growth for new owners & in fantastic shape for medium- & long-term profitability. For-Profit Canadian Career College founded 40 years ago & located in a highly regarded GTA market & recognized as a top business school. 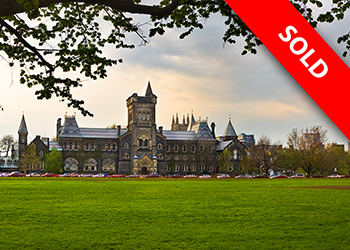 Exceptional Opportunity To Enter Ontario Post-Secondary Sector & expand with market demand. High Demand Accredited Business, Healthcare, & Law Programs offering industry recognized diplomas. Steady Revenue Averaging $4 M & $225K adjusted EBITDA. Foundation Established For Growth in enrollment, revenues, & profits with double-digit margins. DLI Number designated by IRCC allowing enrollment of international students. Students Eligible for Financial Aid under coveted Ontario Student Assistant Program. High Tech Student Friendly Learning Platform, providing cutting-edge hybrid learning model for student instruction. New Ownership Have the Flexibility To Add new programs. Contact HEG directly if you would like to know more about this Ontario Business Career College. Please refer to School No. 3033 in your communications with HEG. You can contact us directly by email or our toll free number at +1.800-687-1492.